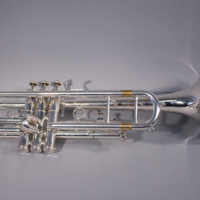 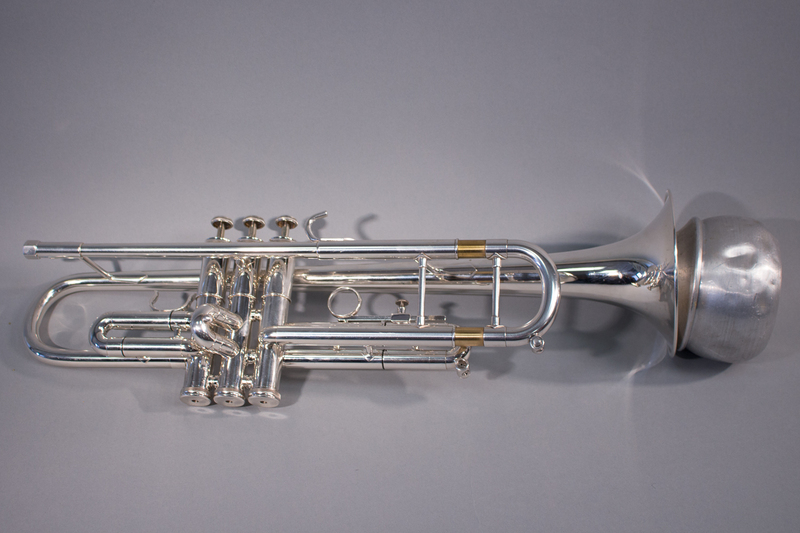 Melvin Carter Sr.'s trumpet. 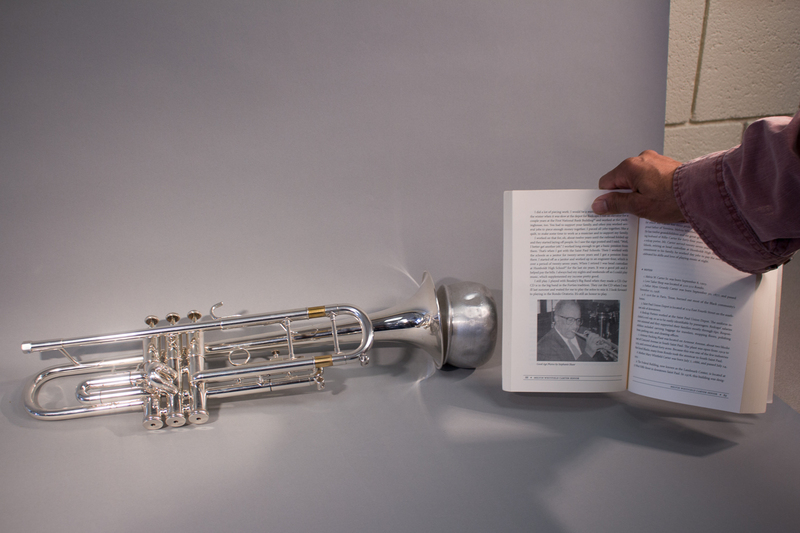 Melvin Carter Jr. holding Voices of Rondo book open to photo of Melvin Carter Sr. playing trumpet. 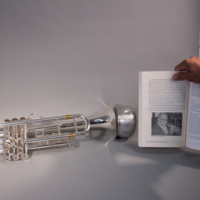 “Melvin Whitfield Carter, Sr. trumpet,” Remembering Rondo | A History Harvest, accessed April 19, 2019, http://omeka.macalester.edu/rondo/items/show/72.